Vacation week is rapidly approaching and I'm digging into the archives to come up with some fun ideas to keep us all from going crazy. We don't have any plans to go away and one thing I love about sticking around during school breaks is the museums always have fun family activities planned. 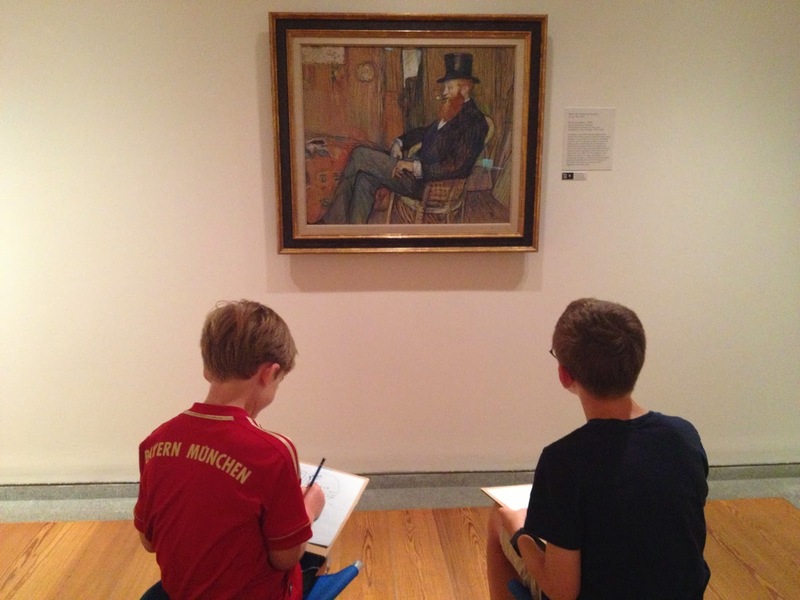 If your kiddos aren't enthusiastic museum goers, chances are they'll jump at the chance to color or scavenger hunt their way around the galleries of your closest museum. The Portland Museum of Art has renovated their family play space and will be hosting a drawing festival on Thursday, February 20th. Your budding artists will be inspired by the newest exhibit, beautiful line drawings from the vast collection of the Brooklyn Museum. The gift shop has the best selection of books on art, architecture, design, and fashion, along with an impressive collection of children's art books and toys. Have your kiddos pick out a coloring book or two and head downstairs for a snack and more importantly a glass of wine. Aurora Provisions supplies the downstairs cafe with yummy sandwiches, salads, pastries and sugary treats. Tops on my must see list over vacation are the latest acquisitions at the Bowdoin College Museum of Art. A retired postal worker and his librarian wife amassed one of the most important collections of late 20th century contemporary art, almost 5,000 pieces that Herbert and Dorothy Vogel kept in their tiny NYC apartment. In 1992 they gave the entire collection to the National Gallery of Art in Washington DC, and in 2008 they distributed 50 works to 50 different museums, one in each state. In early January it was announced that 320 works were being given to the Bowdoin College Museum of Art and the majority of the donation is currently on view. I just love their story (watch the PBS documentary Herb & Dorothy or the movie Herb & Dorothy 50 x 50), everyday art collectors with a very small income, buying art for the simple reason that something appealed to them. It's an inspirational tale, and one you should definitely share with your kids. 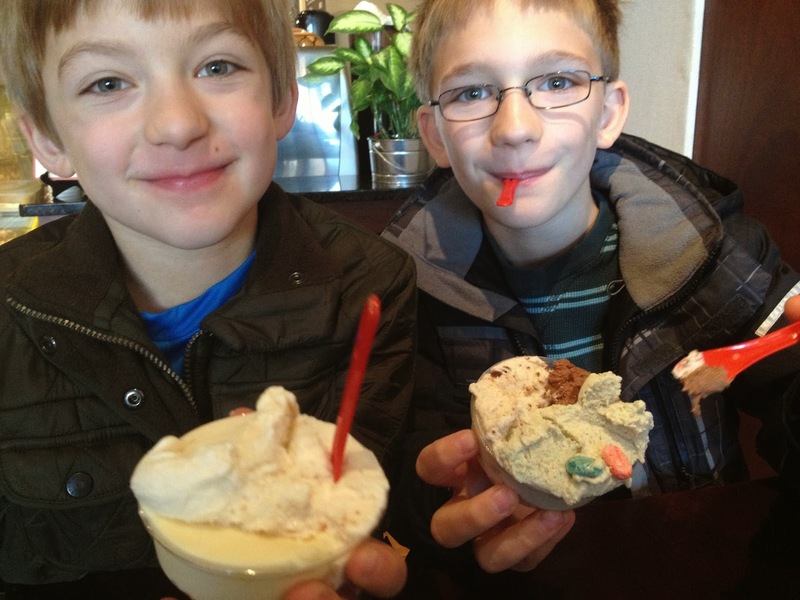 Gelato Fiasco is a short walk from both museums in Portland and Brunswick, and during the winter they discount according to the "frozen code", a percentage point off for every degree below freezing. If you're looking for something a little more filling (or just less cold) I wrote up a few recommendations here. The Portland Museum of Art is open Tuesday through Sunday 10:00 - 5:00 and open late on Fridays till 9:00. Admission is $12 for adults, $6 for teens (13-17) and under 12s are free. 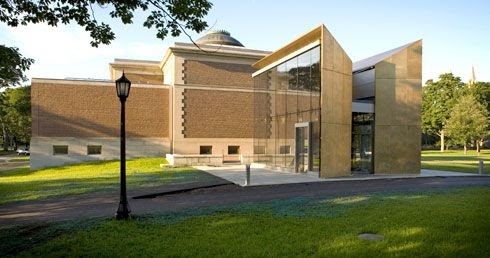 Bowdoin College Museum of Art is open Tuesday through Saturday from 10:00 - 5:00, until 8:30 on Thursday, and Sundays 1:00 - 5:00 and admission is always free.